Cooper Union, the highly selective Manhattan college known for its free tuition, plans to announce on Monday that it has chosen the provost and senior vice president of Tufts University to be its next president. 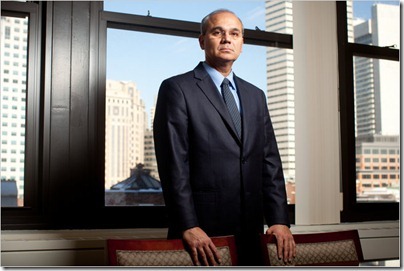 In tapping the provost, Jamshed Bharucha, Cooper Union has selected a scholar whose expertise in the arts and sciences fits well with the two sides of the college, which offers degrees only in engineering, fine arts and architecture. By Lisa Foderaro / NYTimes. 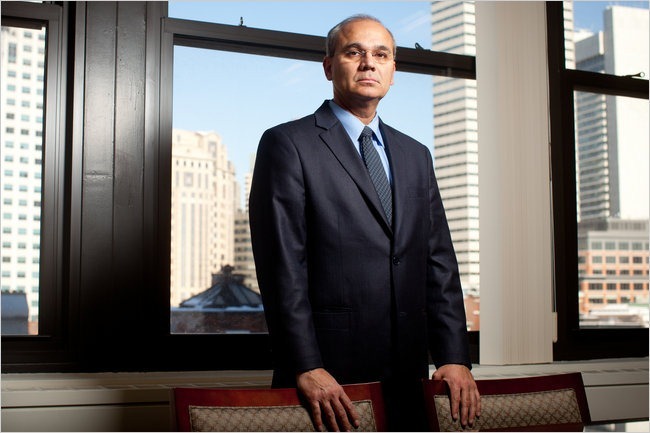 Dr. Bharucha, 54, who spent most of his academic career at Dartmouth College before becoming provost of Tufts in 2002, is on the faculty of three academic departments at Tufts: music, psychology and neuroscience. An amateur violinist, he was born in India and came to the United States at 17 to attend Vassar College on a full scholarship. “Dr. Bharucha exemplifies Peter Cooper’s mandate that ‘The object of life is to do good,’ ” said Mark L. Epstein, chairman of the Cooper Union board of trustees, referring to the founder of the college. Mr. Epstein called Dr. Bharucha an innovator whose interdisciplinary background combined the “science of learning” with “critical and creative thinking skills” to solve global problems. During Dr. Bharucha’s time at Tufts, the average combined score of incoming freshmen on the SAT reasoning test rose by more than 100 points, and the volume of research doubled, as did the number of patent applications filed by faculty members. Dr. Bharucha will assume the role of president of Cooper Union on July 1, succeeding George Campbell Jr., who is widely credited with solidifying the college’s finances and opening a major academic building on Cooper Square. Formally named the Cooper Union for the Advancement of Science and Art, the college was founded in 1859 by Peter Cooper, an industrialist, inventor and philanthropist. From its start, the college committed itself to providing full scholarships, regardless of need. The full scholarships have helped make Cooper Union one of the most competitive colleges in the country. Last year, the college received 3,354 applications for a freshman class of 214, and last month it made national news when a prospective student from Florida created an unusual art project — by placing a piano on a sandbar off the Miami coast — to impress admissions officers at Cooper Union. Dr. Bharucha said he wanted to press for more interaction among departments and to create opportunities for service projects for students in New York and abroad.